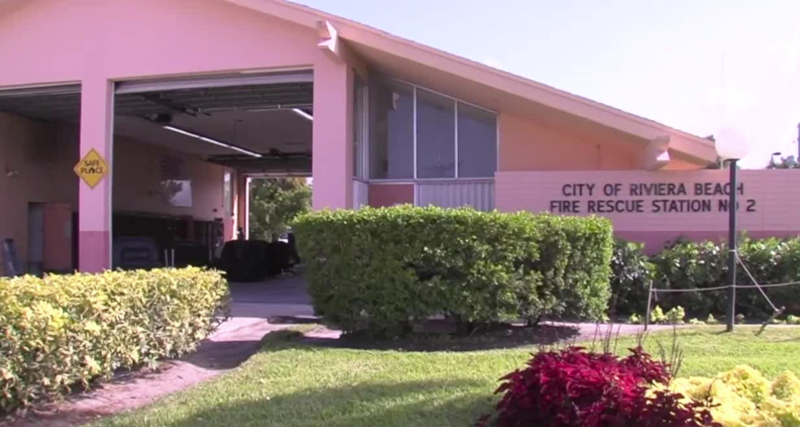 Several Riviera Beach firefighters reported flu-like symptoms. When they went to their doctors earlier this year they learned it wasn’t the flu. The wheezing, coughing and in some cases fever were a result of mold exposure. Contact 5 obtained the results of blood tests from eight different firefighters, who wanted to stay anonymous. All of them show higher levels of the same types of mold. Three of the firefighters had very high levels in their blood. “If they’re having symptoms, respiratory symptoms like coughing, congestion, wheezing, armed with this data (from their blood tests), then it’s concerning,” Dr. De Olazabal said. One of the firefighters had to be hospitalized and has been out of work for a month. The city just recently agreed to pay him worker’s compensation. The biggest concern has been station 88. The city brought in specialists who determined the structure was unsafe. “The decision was made to locate the staff nearby during the day and then, at night, we separate the staff and put them out of two other stations,” Riviera Beach spokesperson Rose Anne Brown said. Bielecky said that creates another issue since it’s going to impact response time in the area. Not all of the affected firefighters were working out of station 88. “We’re taking this very seriously,” Brown said. Station 88 is under reconstruction and the city is having all stations tested for mold. Firefighters are wondering if enough had been done over the last few years to keep them safe. “We’ve known that there’s been issues with the maintenance of the stations for some time,” Bielecky said.